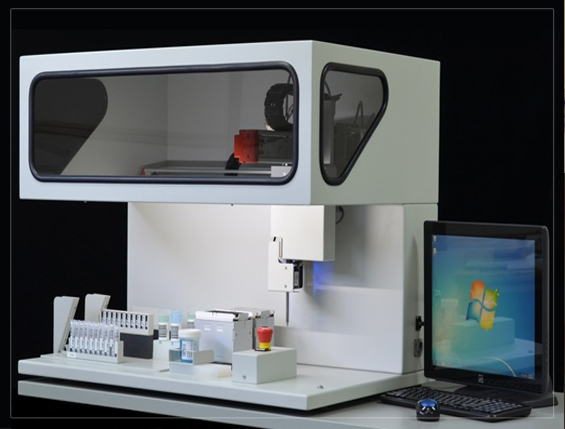 We supply automated sample preparation instruments designed for LEAN processing. Our customers look to us for solutions and service to implement their LEAN vision. The new MC300 Sample Prep Instrument can be easily set up to perform complex mixture methods from multiple fluid sources into one or more destination racks. 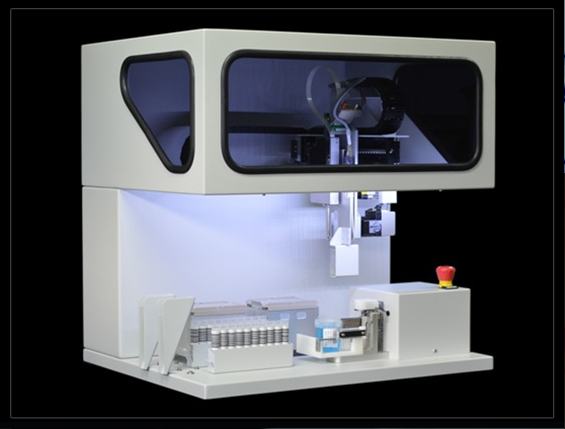 Benchtop unit shown is configured to open and close tamper evident 45ml flip top sample vials (unit will accomodate most specimen vial types and sizes) . Please submit your request or call (928) 202-0283. Merit Automation has been a supplier of LEAN Sample Prep Instruments since 2009 with millions of samples successfully processed on our Merit platforms.